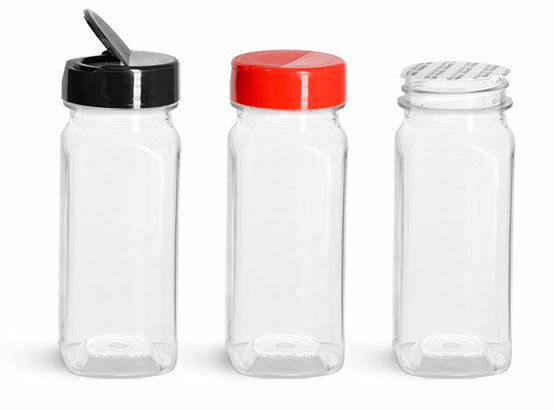 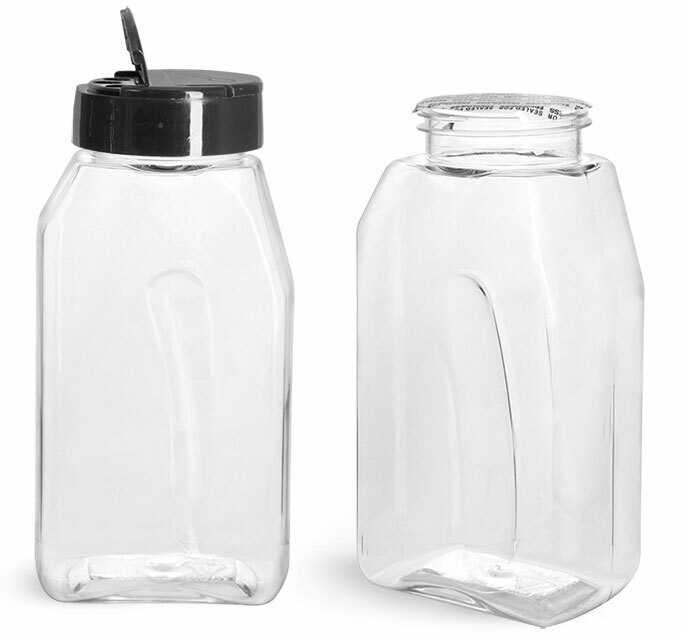 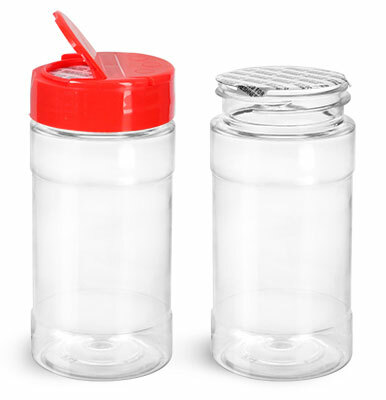 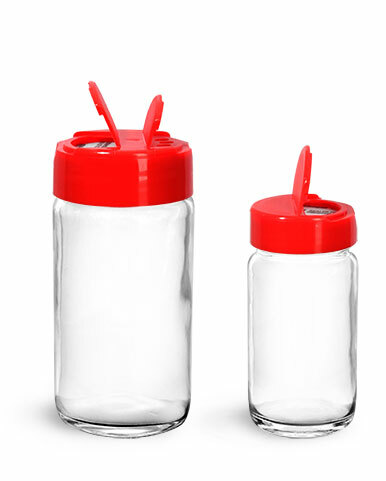 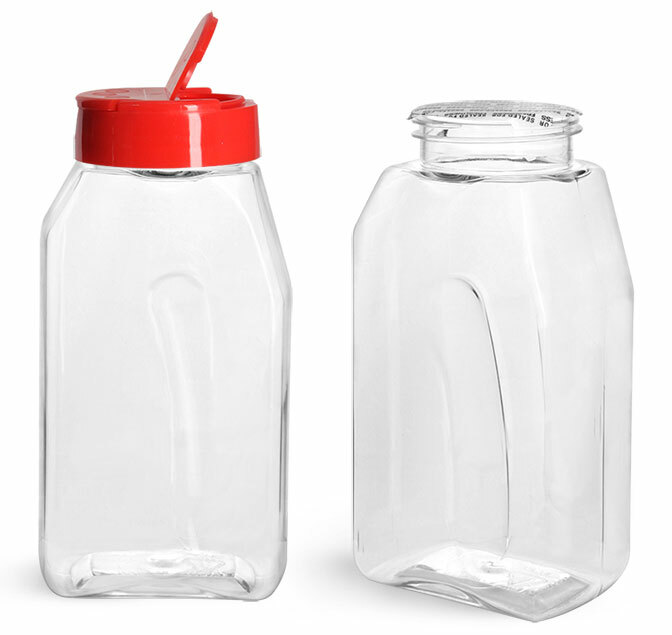 The clear PET spice bottles with sifter fitments are available with white or red unlined smooth top caps. 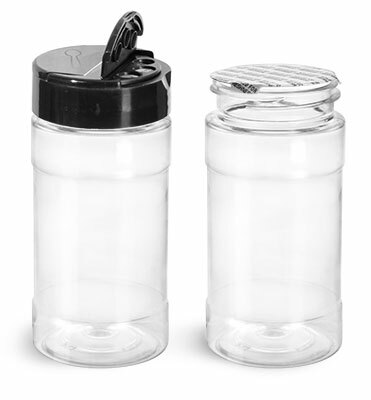 The spice bottles also feature sifter fitments so that you can shake or dispense a little product at a time. 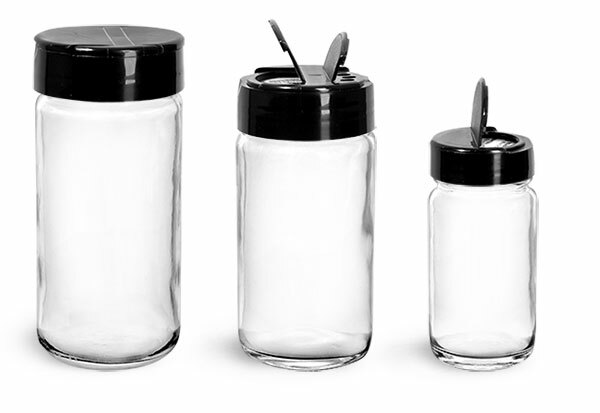 They are also available without the fitment so that you could fit a measuring spoon. 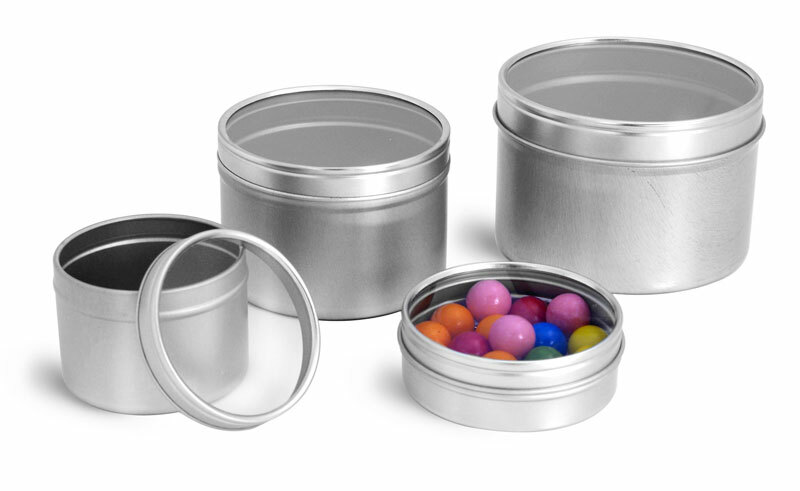 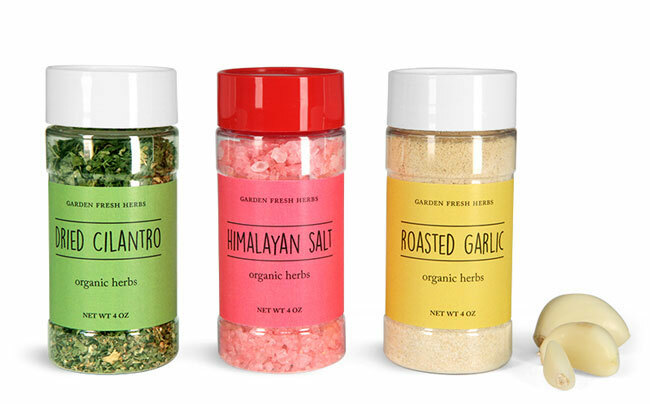 Also consider using one of our metal tins or our spice bottles with grinder caps to package your spices or herbs.